Don’t ask us how or when it happened, but somehow 2018 is already over, which means it’s time to celebrate the advent of 2019! 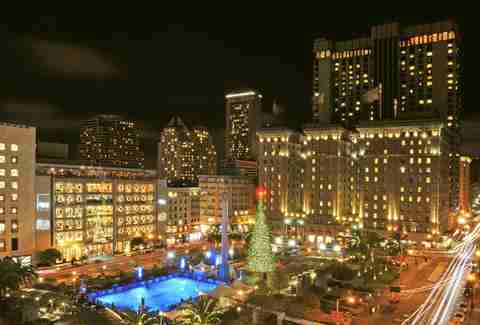 Whether you want to spend the evening on the dance floor, aboard a boat, watching the fireworks, taking in views of the city, kissing on a rooftop at midnight, or enjoying cocktails at a bar, SF has a New Year’s Eve party for you -- and we found the very best ones. 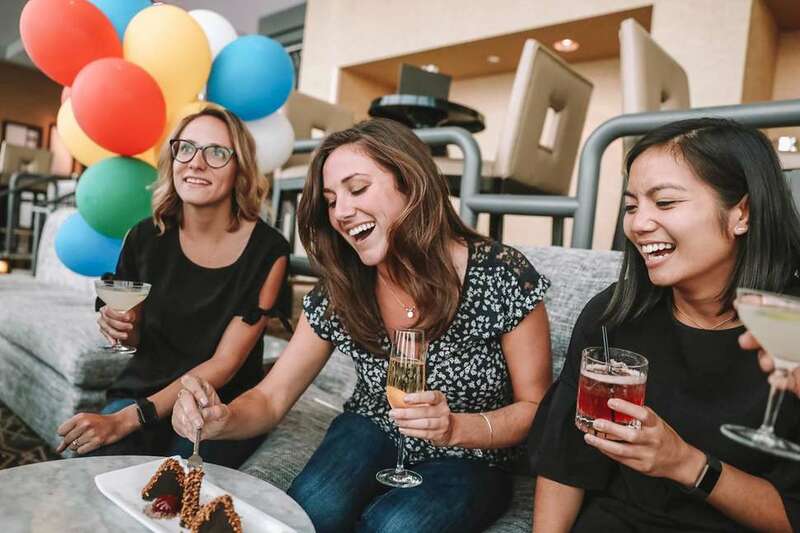 Take in amazing 360-degree views of San Francisco at Cityscape Lounge on the 46th floor of the Hilton Union Square and remember why it is you call this town home as you sip on champagne at midnight. The evening includes a dance party featuring DJ King Most, drink specials, and VIP packages for up to 12 people that include appetizers, Moët, and a bottle of Belvedere. FYI: GA sales end on December 29. MOANY is known for being one of SF’s biggest New Year’s Eve parties and this year will be no different. There will be three levels, four distinct spaces (each with dance floors), a special midnight countdown with Trey Songz, a massive balloon drop, and a VIP option that gets you express entry and a premium open bar from 9:15pm to 1:15am. Start the New Year off at a landmark hotel. The San Francisco NYE International Ball has something for everyone, including four separate dance floors with 10 DJs spinning Euro/top 40/house, salsa/merengue/pop Latino, hip-hop/80s/90s, and Persian/international, 4.5 hours of premium open bar, balloon drops in every room, dancers and drummers, a photo booth, and more. Head to Union Square for the glitzy Passport to the World party where you’ll find five rooms of music, entertainment, and themed props from around the world, 10 DJs playing top 40, EDM, house, mashup, international beats, ‘80s, ‘90s, and more, a live ‘80s cover band, stilt walkers, taiko drummers, and a hosted open bar. The USS Hornet, a National and State Historic Landmark, is ending 2018 with a Big Band Dance Fundraising Gala. Dance on three different dance floors to music from 3 O’ Clock Jump, a 16-piece classic big band, and watch the fireworks from the flight deck. 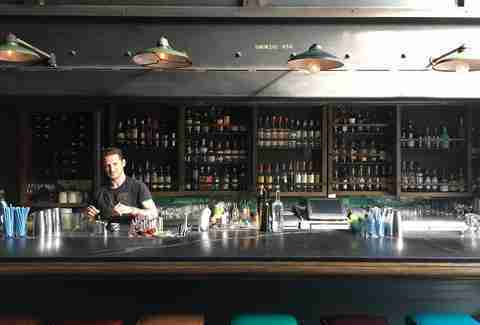 There will be several cash bars on deck, as well as a Hofbrau-style sandwich station. Feel like your dance moves could use a little work? Lessons will be available during intermissions. Proceeds benefit the museum’s education department. 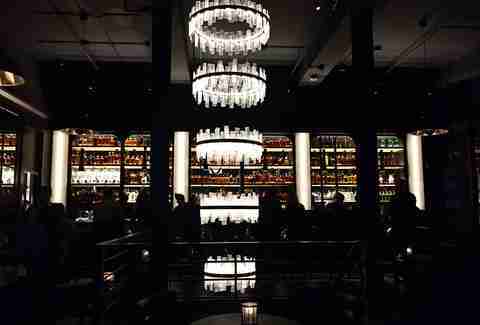 The Saratoga is transforming into a dance party for New Year’s Eve. Barman Will Morgan will be playing electronic soul, hip-hop, and 90s R&B, while you enjoy hors d’oeuvres, like prime steak tartare, smoked salmon blini, a raw bar, fried chicken sliders, and more. Choose from GA, which gets you all of that, as well as two cocktails and a champagne toast at midnight, or VIP, which guarantees you a table in the downstairs dining room, a bottle of Champagne for the table, two cocktails, tableside hors d’oeuvres, and a Champagne toast at midnight. All aboard the San Francisco Spirit for the 6th Annual Moonlight New Year’s Eve Fireworks Party Cruise. The yacht has three different decks for you to hang out on and take in the views of SF landmarks and the fireworks, as well as a dance floor, appetizers, and a four-hour open bar. 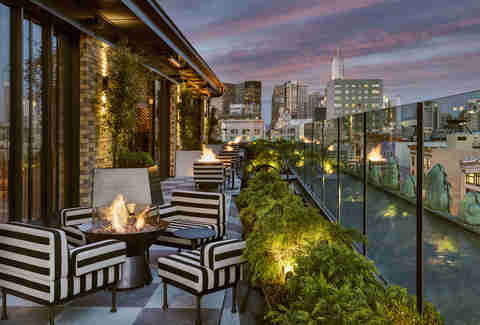 San Francisco’s sexiest rooftop bar and lounge above the Proper Hotel is going all out with a Moulin Rouge-themed party. There will be DJs, cabaret dancers, a raw bar, passed appetizers, late night snacks, and a champagne toast. Charmaine’s has heat lamps and fire pits, as well as an indoor space, so you don’t have to ruin your outfit with a puffy jacket. Email info@charmainessf.com to reserve. Trick Dog’s throwing a New Year’s Eve/6th birthday party to raise money for Seven Tepees Youth Program, a non-profit that provides services to under resourced youth in SF. The money you give at the door gets you access to unlimited cocktails from a one night only specialty cocktail menu and passed food. The party goes from 7pm to 2am. There will be a huge crowd at the Eye Heart NYE party at Fort Mason. Grammy-winning artist Miguel is performing with additional sets by DJ D-Sharp, DJ Dilly, and others. There will also be an open bar all night long, art installations, and outdoor views of the fireworks. Daisy Barringer is an SF-based writer who at a New Year’s Eve party once asked “How many more minutes ‘til midnight?” only to have her friend inform her it was 12:30am. She called an Uber immediately. See what shenanigans she gets up to this year on Instagram @daisysf.